I hope you all had a wonderful Independence Day. I enjoyed relaxing with family and doing some reading. I was thinking about Revolutionary War books and movies and realized, to my chagrin, that I couldn't name very many. I've seen and read many WWII stories but few Revolutionary War ones, but I am familiar with a few, and I wanted to share those that came to mind. With spies, romance, and intrigue, this was a very enjoyable novel. 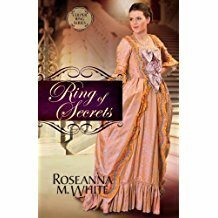 Winter Reeves, a devoted Patriot, hides behind the mask of a dimwitted society belle as she feds secrets to General Washington. Bennet Lane comes to New York to find a spy, and, unfortunately for Winter, he finds her captivating. He also find her eyes altogether too intelligent for her dull remarks. I loved Janette Oke's books growing up, and the Song of Acadia books were some of my favorites. 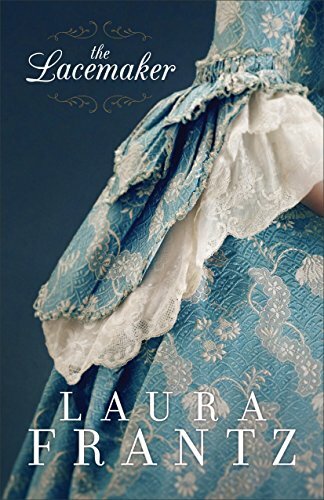 Starting well before the Revolution when the French in Acadia were deported to Louisiana and an English baby is unavoidably sent with a French family while the French baby is left behind with the English family, books 2-5 tell of the swapped daughters, now grown up. They learn their true identity, meet their birth families, face adventures and sorrows, and fall in love. This one involves the Revolutionary War and was a particularly exciting story. I must confess I haven't actually finished reading this one. I started it on July 4 and am only a little ways in. It's a bit description heavy so far, but I am intrigued and want to continue reading it. It also comes highly recommended, being endorsed by Melanie Dickerson and Tamara Leigh. In this story a British noblewoman living in the Colonies must decide which side she's on as war looms. Dare she provide her worthless fiancee's cousin with the information needed by the Patriots? For movies, I'd recommend Beyond the Mask. A mercenary for the East India Company goes on the run after trying to get out the racket. He hides as a parson and is, ultimately, forced to flee to the Colonies. Once there, in an attempt to earn the respect of the woman he loves, he dons a mask and helps protect Patriots from violence. With adventure, romance, humor, redemption, and well-known characters such as Ben Franklin, this was a great movie. Other Revolutionary Wars that come to mind (I've probably seen more) are Mel Gibson's The Patriot, Henry Fonda's Drums Along the Mohawk, and Abbot and Costello's Time of Our Lives. Have you read many Revolutionary War stories? Which are your favorites? When it comes to historical events, I tend to read non-fiction over fiction. Mostly, because we homeschool. 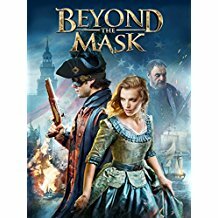 But my husband loves history so I have scene several movies based on (or set during) historical events, including Beyond the Mask and the Patriot - both wonderful films.